If you do not like crowded destinations, non-touristy places in Vietnam travel should be in your top travel choice. Some of them are in North Vietnam, Central Highlands or Beautiful Islands. Together with TopsVietnam, we will explore the charming attractions in these areas! Ha Giang, Vietnam is a beautiful destination located in the Northwest Highlands. Due to the geographic location in the highlands area, Ha Giang is listed in top beautiful places to visit in Vietnam. The majestic scenery is worth making a perfect trip to Ha Giang. Hence, tourists cannot forget the feeling of following the roads between mountains and blue clouds and take the breathtaking view of Vietnam terraces. Ha Giang tourism is also well-known for the season of buckwheat. In addition, Dong Van stone plateau, the Vuong family building, Lung Cu flag tower and the Hanh Phuc Road. Dien Bien Phu is dominated by forests, high mountains, and slopes. Interlaced with majestic mountains, it has narrow valleys, small highlands, rivers along with mysterious caves and lakes. Due to the terrain, Dien Bien Phu remains the wonderful attraction unexplored by many people. In conclusion, Dien Bien Phu will give visitors spectacular landscape view in spring due to being in the top 8 best places in Vietnam to visit in March. When you have a chance to visit this place, you should come to see Muong Thanh valley that has 150km beautiful paddy field. It is also famous for its historical relics of Dien Bien Phu Battle in 1954. In addition, Ba Be is home to 13 different ethnic groups and small fishing villages. Ban Gioc Waterfall – the most famous place of Cao Bang province, where you can sail to reach the falls. Another, the landscape in Ban Gioc Waterfall is dominated by limestone hills which are one of the rare sights you desire to see. Near Ban Gioc waterfall, there is marvelous Nguom Ngao cave, which means Tiger cave. Also, it is a spectacular cave of Vietnam, with a lot of beautiful stalagmites and stalactites. As a result, historical lovers can continue to explore Pac Bo Cave, located in the west of Cao Bang to learn about the life of President Ho Chi Minh since 1941. Pu Luong named by Thai ethnic people means the highest mountain in the area. And, many people consider it as a valuable and natural reserve in terms of science, socio-economy, and ecotourism. Together with Pu Hu, forest in this area plays an important role in watershed protection in Ma river in Thanh Hoa province. Pu Luong is an ideal place where many visitors find the enjoyment of community tourism. Also, Pu Luong tourism is not dense so travelers can feel harmony with nature. If you really want to get away from the regular tourist trail, you can opt to skip out on Halong Bay and head over to Bai Tu Long instead. Located North East of Halong Bay, this area can stretch up to 100km to the Chinese border. Similar in geographical features, you won’t be disappointed because you’ll see the same fantastic limestone karsts, minus the hoards of tourist boats. According to locals, a few of the larger islands also feature forest reserves sheltering rare species and if you’re lucky, you might even spot a dugong swimming around. Co To is an island district located in the middle of the sea in Quang Ninh Province. And, this is the beautiful island with fine white sand, blue water, and beautiful waves against the rocks. Its location is 100km far from Van Don Station in the land, which makes it become a non-touristy destination in North Vietnam. Therefore, you can experience the peaceful life of locals in that nice island. Off the coast of the cultural town of Hoi An, you can take an hour long boat ride to Cham Island. A small quaint island that boasts a beautiful coral reef perfect for snorkeling or scuba diving. Soak up the underwater world and enjoy their marine protected waters. You can opt to stay in the relatively new guesthouses or homestays, but a popular option among backpackers is camping on the beach. Con Dao tourism is considered as sea attraction which gives wildlife exploring experience. In spite of one of the 21 national tourist sites, Con Dao has been listed in amazing non-touristy places to visit in Vietnam. 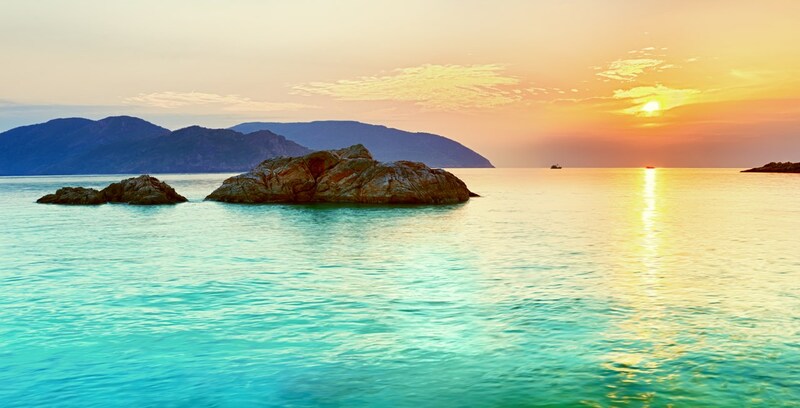 In addition, in 2011, Con Dao was voted top 10 most mysterious islands in the world by Lonely Planet. When visiting Con Dao, travelers can join various activities like Coral Reefs for Scuba Diving, going fishing or seeing Con Dao National Park and Con Dao Prison. Nam Du is one of the islands in Nam Du archipelagoes, Kien Giang. It is about 60 km far from the mainland. Nam Du is beautiful, pristine and peaceful with beaches having little footprints and friendly smiles. Hence, it is worth being gorgeous non-touristy islands in Vietnam. Located in the Northeast, Ly Son is the only island district of Quang Ngai. 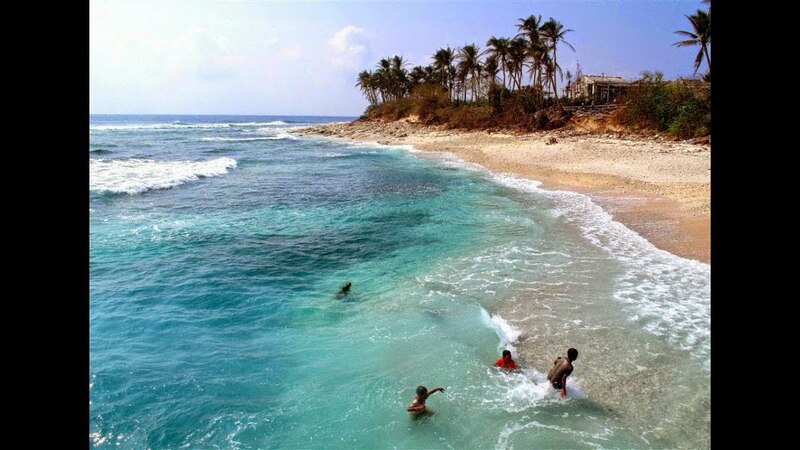 Furthermore, Ly Son Island is reputable for white sand beaches, jade blue water along with colorful coral reefs. In the summertime, beautiful blue sea and green trees here seem like creating a compelling appeal to any travelers. While staying on the island, visitors will also enjoy seafood dishes and garlic salad specialties, salted anchovies, seaweed mixes. Binh Ba is 20km far from the mainland in Cam Ranh Bay, Khanh Hoa province. Binh Ba Island is not fully exploited so it is not a crowded attraction in Vietnam. With its clean beaches and charming scenery, Binh Ba becomes the perfect choice for peaceful hospitality. There are many places of historical interests like relics from the French colonial era (1940): bunkers, cannons; mountain pass tunnel; Quan Am Palace; Dia Tang Palace … Another, there are three beautiful beaches including Bai Nom, Bai Chuong, Bai Nha Cu. Let’s walk through nice beaches and join coral reefs for scuba diving. Binh Ba Island is also famous for the name ” lobster island” as its lobsters are considered the most delicious and cheapest in Vietnam. Kon Tum province of the Central Highlands has the border crossings with Laos and Cambodia, also known as the Indochina Fork. The tourism is associated with the wild nature and Space of Gong Culture in the Central Highlands of Vietnam. Kon Tum is a majestic place of red basalt soil with many beautiful sights. Another, the Po Ko river having green banks are an interesting stop on the journey. Also, Kon Klum communal house, Kon Tum Museum, Wooden Church or Mang Den Tourism area are interesting destinations for visitors to explore. 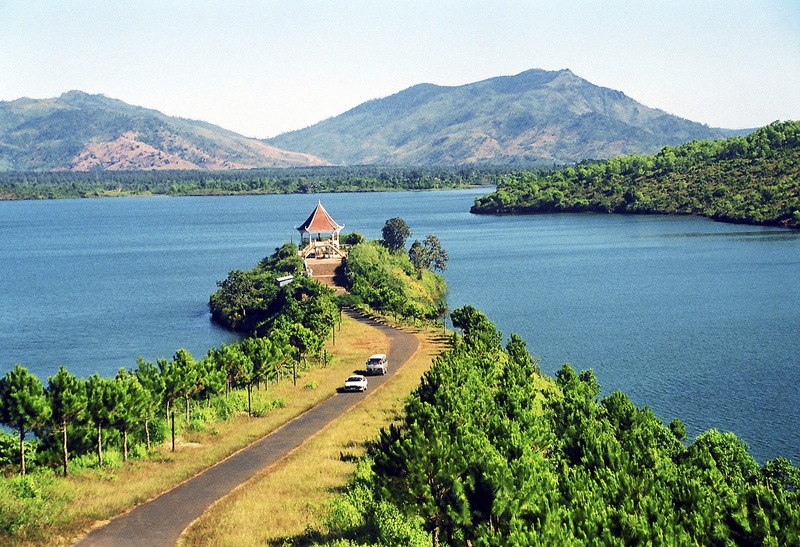 Located on the plateau of Gia Lai – Kon Tum, Pleiku is reputable for being the best sleeping city in Vietnam. Having a unique nature, Pleiku is famous for top non-touristy places in Vietnam. The potential of tourism from the hydroelectric power, irrigation, natural landscapes in Central Highlands brings out various travel types such as eco-tourism, landscape, and history … In particular, some interesting destinations in Pleiku can be Duc An lake, Dong Xanh park or To Nung lake… Because the city has the advantage of soil and weather for the development of industrial crops such as rubber, coffee, pepper. Therefore, don’t forget to taste some coffee cups in Pleiku.